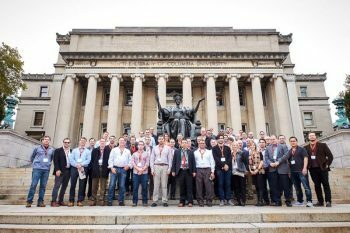 The principals of Bridgecreek just returned from Columbia University where they earned one of the highest designations in the financial industry. Of the 300,000 financial advisorsin the United States, only 400 have passed all of the modules (150-200 hours of study) as well as the on-campus course and final. The Certified Portfolio Manager designation is a collaboration of the Academy of Certified Portfolio Managers and Columbia University. The academic component is designed to provide a deeper understanding of fundamental security analysis, asset allocation, and portfolio management concepts for financial services industry professionals managing discretionary portfolios. The curriculum encompasses eight core concepts: Quantitative Methods, Financial Statement Analysis, Corporate Finance, Fixed Income Analysis, Equity Analysis, Fiduciary Responsibility, Derivatives, and Portfolio Management.